It’s a national stereotype, I know, but Italy really does seem to embrace her child visitors. Kids are welcomed into restaurants, even flash ones, you get a genuinely warm welcome in hotels, and someone will always want to help you if you’ve a small one in tow. And Rome is a fantastic place to show your kids. What could be more inspiring than all those wonderful historic landmarks? 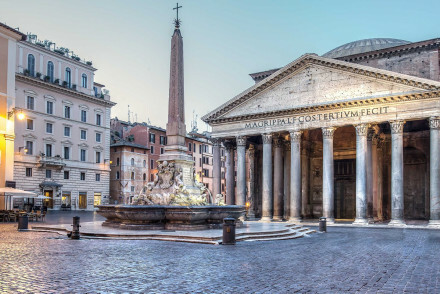 So all that leaves you to do is find the best family hotels in Rome, and make sure you all get the sleep you need to power on through all the treasures. 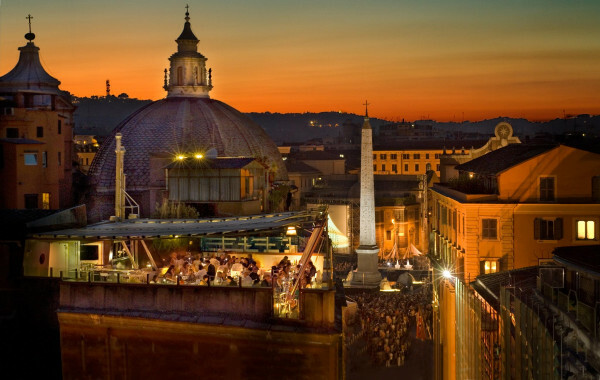 And churches… So our Gurus have come up with a list of the 10 best family hotels in Rome. 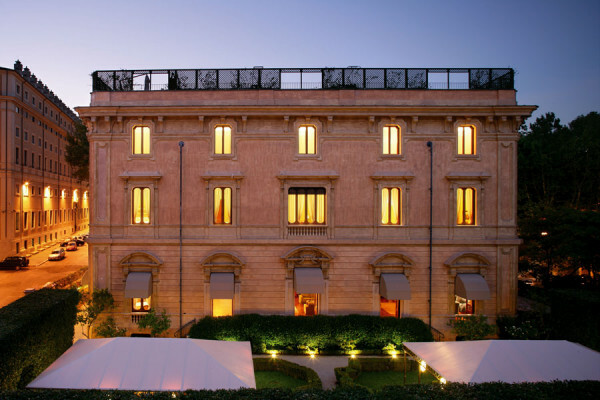 Some of the best hotels in Rome for families are among the best the city has to offer period, which is a nice surprise. While some of the properties on our Guru’s list of the 10 best family hotels in Rome are designed specifically with families in mind, with kitchenettes, living spaces and other home-from-home facilities. Our Gurus have also found some great value options and some great family-friendly B&Bs. 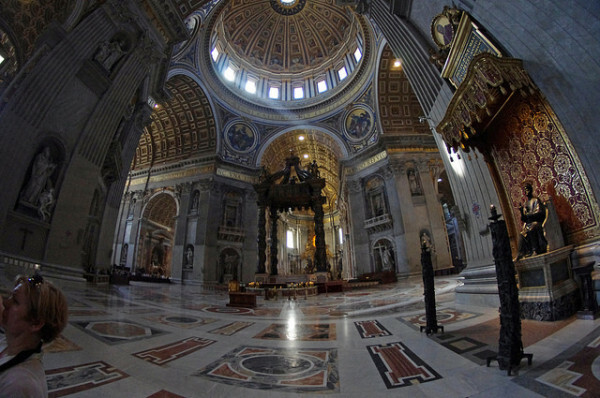 So there’s no excuse for not showing your kids the church of San Clemente, with its layers of history, or not taking them up to the dome of St. Peter’s, or letting them play-fight in the Colosseum or pull all the levers they can get their hands on at the Leonardo Museum. If you want to be close to the Spanish Steps try Mario de Fiori 37, a collection of four, quite luxurious, self-catering rooms and suites with sleek design and every modern gadget. As well as kitchens the rooms and suites also have living areas. If you want to be close to the Piazza Navona and the Vatican, try Due Torri, an historic and elegant, 26 room hotel converted from a villa once home to Cardinals, Bishops, and famous Roman families. 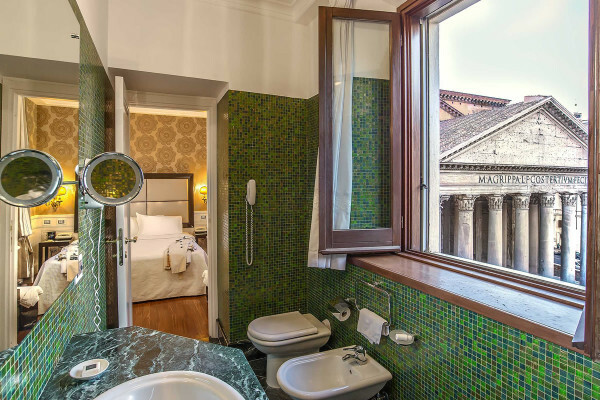 And if you’d prefer to be by the Pantheon, then the Albergo del Senato is for you, with its 56 elegant rooms and suites, in a classical Roman style, plus a wonderful roof terrace. Just steps from the Trevi fountain, the Daphne Inn has a collection of rooms, suites, family rooms and one apartment, decorated in a contemporary style in creams, bronzes and browns. There’s a great breakfast room and they offer bike rental as well. Rooms start from around £75 per night. 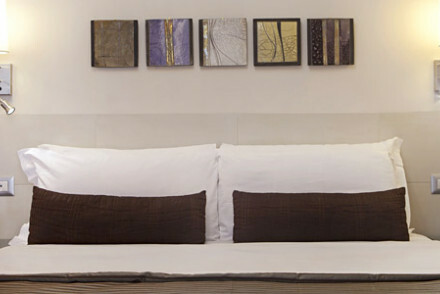 The Hotel Modigliani has 23 attractive rooms, suites, family rooms and one apartment around a lovely inner courtyard. Some rooms have private terraces. The decor is elegant with pops of colour and modern art. 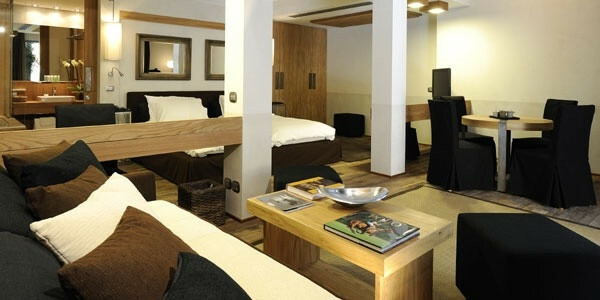 It's also very well located close to the Trevi fountain and Spanish Steps, and rooms start from around £75 per night. 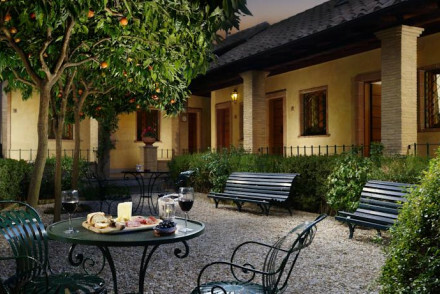 The Villa Spalletti Trivelli is a beautiful Roman townhouse carefully converted into a 12 room hotel. The rooms are peaceful and aristocratic in decor, as are the living areas, with oil paintings, tapestries, marble fire places and Doric columns. There’s also a wonderful library, a great restaurant and a spa. 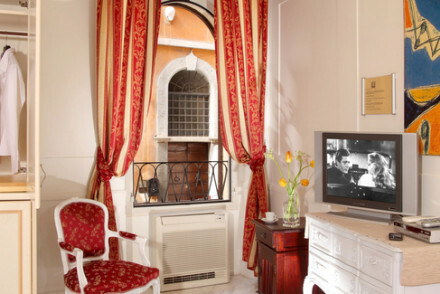 The Inn at The Roman Forum is a beautiful 14 room guesthouse right by the Colosseum with attractive decoration and private balconies. There are rooms, suites and family rooms - some with four poster beds and fireplaces, and there’s a lovely rooftop terrace. 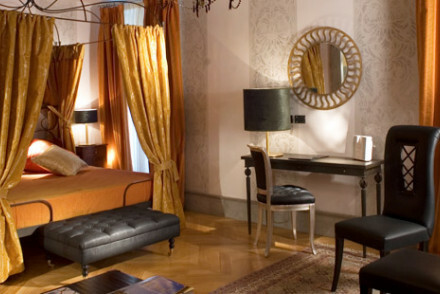 The Hotel Valadier is a classic modern hotel come to the Spanish Steps and the Villa Borghese. There are 67 rooms, three restaurants and a piano bar. There’s also a magnificent rooftop terrace. Plus, they have their own bikes for the use of guests. 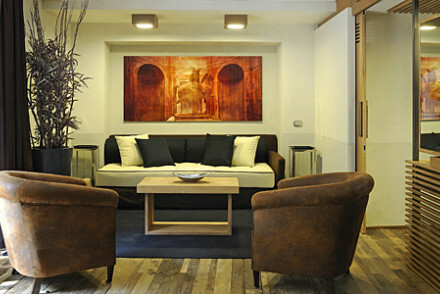 Margutta 54 is a collection of just six suites converted from a building in one of Rome’s most central, yet peaceful mews. Large and minimalist in decor, you’ll find all the mod. cons. you need. 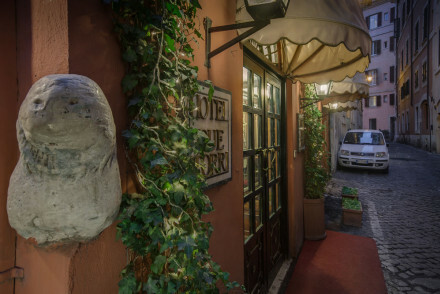 The Santa Maria di Trastevere is built on the foundations of a former convent, and has 18 rooms around a lovely central courtyard - which is also where a continental breakfast is served. Quaint and quiet. 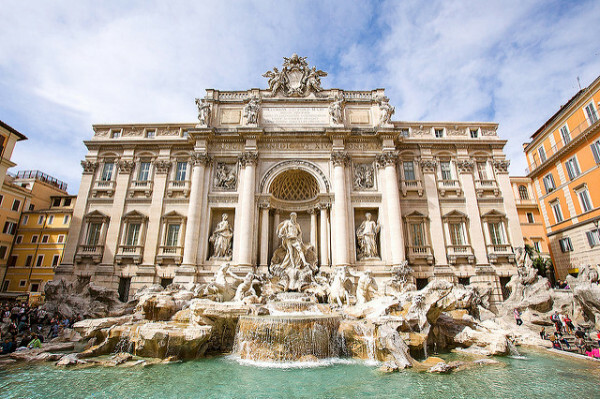 Still not sure which of our Guru’s recommendations for the best family hotels in Rome might be perfect for you? 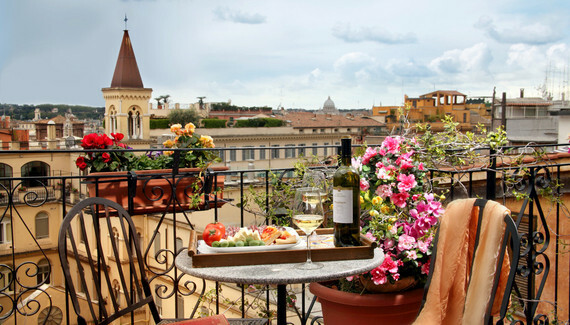 or the best B&Bs in Rome, or consider our Gurur's recommendations for 10 great value hotels in Rome? 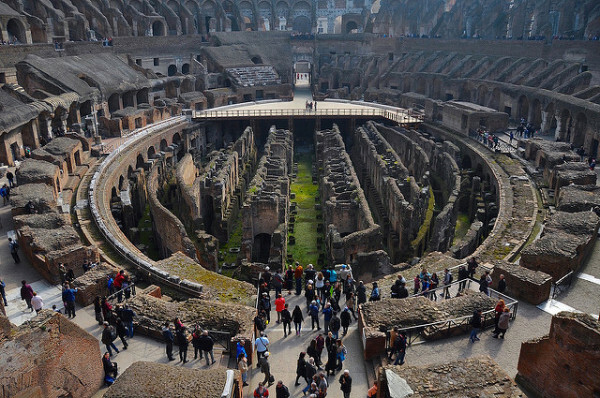 Or search for great hotels near the Colosseum? 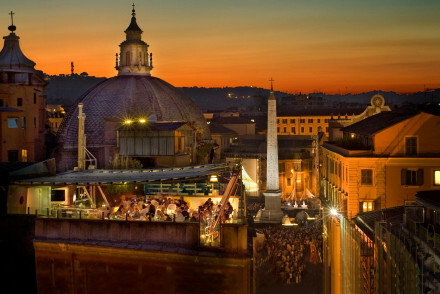 or great hotels near the Spanish Steps?